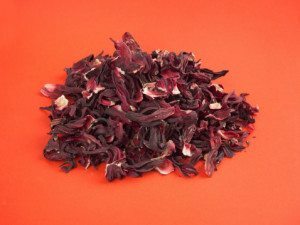 Otherwise known as roselle or sour tea, there are a lot of “health” claims that surround Hibiscus tea. One of the few that is actually supported by clinical trials is its beneficial impact on blood pressure. 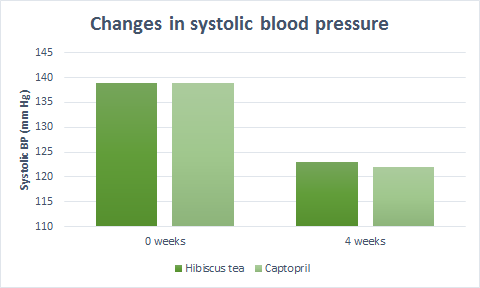 In a study of 75 subjects with diagnosed hypertension (and not taking any blood pressure-lowering medication at the time), one large hibiscus tea before breakfast each day for 4 weeks was associated with an 11% and 12.5% reduction in systolic and diastolic blood pressure, respectively (1). Those effects were equal to the active control group who were taking 50 mg of Captopril (pharmaceutical drug) daily for the same time frame. While a group receiving no treatment would have been nice for the sake of comparison, what’s really impressive is that numerous other studies have replicated these results (2, 3, 4). As tea, about one gram of dried calyx (the part of the flower directly beneath the petals) should be brewed. It should be enjoyed either once in the morning or twice per day but with at least 8 hours between doses. Alternatively, hibiscus supplements are also an option, and should be dosed according to their anthocyanin content. A daily 10 mg dose of hibiscus anthocyanins – equivalent to 1g of a 1% extract or 500 mg of a 2% extract – is optimal. Higher doses may be toxic. Summary: Hibiscus tea has been repeatedly shown to lower blood pressure in those with existing high blood pressure by around 10% systolic and 12% diastolic. The effect may be noticeable after just two weeks. Nitrates are compounds that play a big role in our metabolic system. Turmeric is a popular Indian curry spice that has been traditionally used in both cooking and medicine. The main active ingredient in turmeric is curcumin, which studies show have impressive medicinal properties (9). In a study of 32 post-menopausal women, supplementing 150 mg of curcumin for 8 weeks successfully improved blood flow to levels seen in those who exercise three times per week (10). Another human study using 500 mg turmeric three times per day (22.1 mg curcumin each time) reported large decreases in blood pressure in subjects with a form of kidney disease known as nephritis (11). The benefit that curcumin has on blood flow and blood pressure are believed to be related to nitric oxide, similar to beetroot. Supplementation of curcumin has shown to increase circulating nitric oxide, in some cases by up to 40% in just four weeks (12, 13). However there is just one problem with curcumin… Humans are very bad at absorbing it. 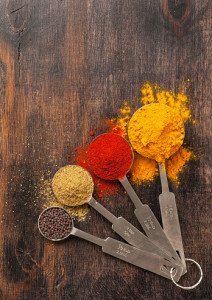 For any noticeable health benefits, it’s essential to consume curcumin with an enhancer such as Black Pepper. Summary: Turmeric is very rich in curcumin, shown to improve blood flow and decrease blood pressure in those with existing kidney problems. 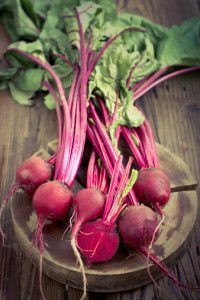 The benefits are thought to be related to nitric oxide. Much like beetroot and curcumin, pomegranate is also a fantastic source of artery-relaxing nitrates. Softer arteries remain thin and elastic, and encounter less resistance, which enables the heart to pump at reduced pressure. 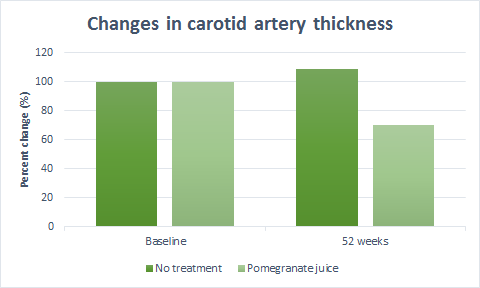 In fact, just 50 ml (1.7 oz) of pomegranate juice per day has been linked with a 30% reduction in carotid artery thickness; the artery that supplies the head and neck (14). The more thin and elastic, the better. Studies on subjects with high blood pressure show that consuming around 150 ml (5 oz) of pomegranate juice daily for 2 weeks can lower both systolic (top reading) and diastolic (bottom reading) blood pressure by clinically significant amounts (15, 16). Additionally, the unique fatty acid in pomegranate – Punicic acid – has been shown to protect against several other factors in the heart disease process. These include improving triglyceride:HDL ratio and lowering LDL cholesterol (17, 18). Summary: Pomegranate juice is a strong source of nitrates, which is thought to help keep blood vessels soft and elastic. Studies suggest that 150 ml (5 oz) of pomegranate juice daily for 2 weeks can markedly lower both systolic and diastolic blood pressure. What makes cashews and almonds stand out from other nuts is their magnesium content. Magnesium is an essential mineral involved in over 300 bodily process, including blood pressure regulation and blood sugar control (19). A lack of magnesium in the diet (deficiency) is very strongly associated with blood pressure complications. This holds true whether you are overweight or not (20). As you would expect then, correcting low magnesium has been shown to significantly reduce high blood pressure in numerous studies (21, 22, 23, 24). Given that approximately two-thirds of US adults eat below the recommended intake of magnesium, you can see how the addition of magnesium-rich foods to your diet could make a huge difference. Magnesium supplements are a good alternative, but where possible we should always choose natural whole foods first. Summary: Having low magnesium levels is very strongly linked to high blood pressure. 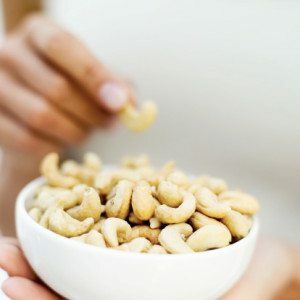 Cashews and almonds are very high in magnesium, with one small handful providing 20% of your daily requirements. In the context of blood pressure and heart health, potassium works in tandem with sodium (salt) to regulate the electrical activity of the heart. Human trials show that an increased potassium intake significantly reduces high blood pressure (except for those with chronic kidney disease), especially individuals deficient in potassium. In fact, a combination of potassium and magnesium can lower blood pressure as much as medications (26, 27, 28). Unfortunately we no longer eat much potassium. The average American now eats roughly 400% less than our hunter-gatherer ancestors, which is unsurprising considering that the greatest food source of potassium in our diet is fruit and vegetables (29). 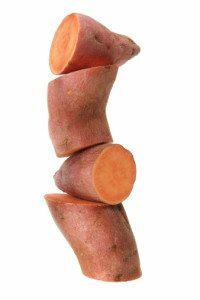 It goes without saying we can all benefit from eating more vegetables, but I like to place emphasis on eating more root vegetables (such as potatoes and sweet potatoes). 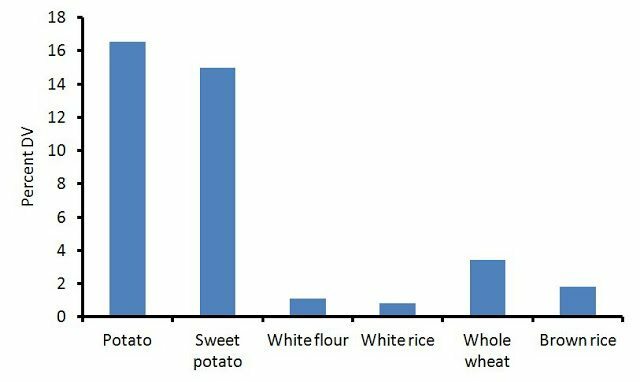 They tend to replace other starchy carbs on the plate that have far less potassium and far more sodium. For example, replacing grains in the diet with root vegetables dramatically increases potassium intake, as illustrated by Dr. Stephan Guyenet. 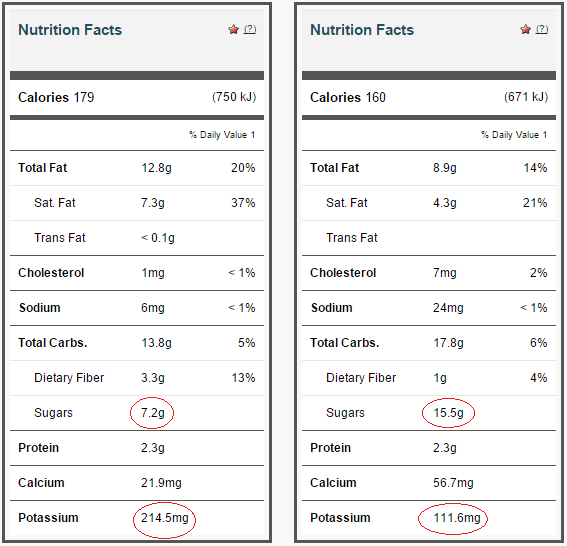 The graph shows how much of our recommended daily potassium intake (%) is met with a 100-calorie portion of each food. You can see that grains and rice – even whole grains – cannot compete with the potassium in root vegetables, or other vegetables for that matter. Consider swapping more pasta, rice and sandwich dishes for potato-based meals. Summary: Increasing your potassium intake is a fundamental aspect of treating high blood pressure (unless you have chronic kidney disease). Root vegetables like potatoes are one of the best food sources, and can easily be substituted for other starchy carbs at meal times. Ergothioneine is a powerful antioxidant that protects cells from oxidative damage (otherwise known as ageing). 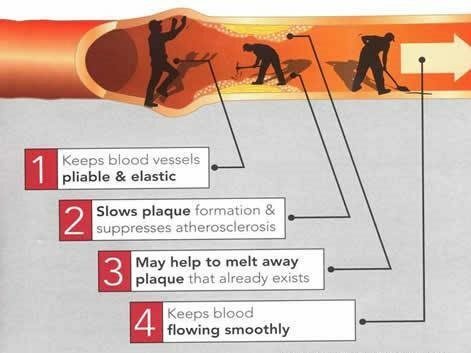 In particular it appears to protect and preserve nitric oxide, which is fundamental to healthy blood flow and pressure. In fact, the role of ergothioneine is so unique to cardiovascular health that many believe it should be classified as a whole new vitamin (30, 31). Mushrooms are by far the richest source of ergothioneine in our diet, and are actually ranked in the top 5 for antioxidant capacity when compared with 29 other common vegetables. Considering mushrooms are also one of the best sources of potassium (more than bananas per gram), it only makes sense to eat them often. Summary: Mushrooms are the greatest food source of ergothioneine, a powerful antioxidant that protects and preserves nitric oxide. 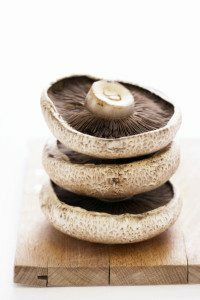 Combined with their high potassium content, mushrooms are undoubtedly beneficial to cardiovascular health. The words ‘chocolate’ and ‘healthy’ in the same sentence sounds almost too good to be true, right? Well it’s not… but it’s close. Chocolate contains cocoa extracted from the cocoa plant. The active ingredients within cocoa are the flavanols, which may lower blood pressure through inhibition of angiotension converting enzyme (ACE)- much like ACE inhibitor drugs (32). A large analysis of 20 previous studies concluded that consumption of cocoa (usually very dark chocolate or cocoa supplementation) is associated with a small 2-3 point reduction of systolic blood pressure. 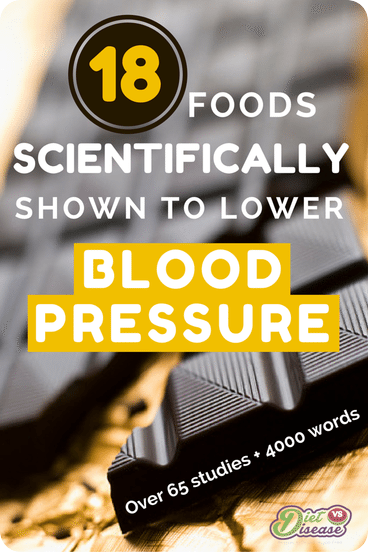 An earlier analysis of 13 relevant studies made a similar conclusion, noting that cocoa products were most effective in those with high blood pressure or pre-hypertension (33, 34). If we dig deeper it seems benefits are only seen with dark chocolate or a cocoa extract equivalent to around 500-1000 mg of flavanols per day. This suggests that for chocolate to have any benefits it must be really dark, equal to about 25-40 grams of 85% dark chocolate (typically shown on the package as 85% cocoa). According to Calorieking, 30 grams (1 ounce) of 70-85% dark chocolate has 179 calories (750 kilojoules) and 7.2 grams of sugar. The same amount of milk chocolate has more than double the sugar (not to mention half the potassium and a fraction of the flavanols). 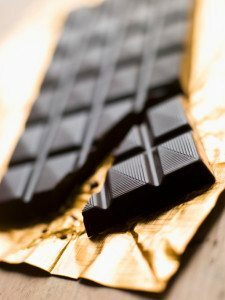 Therefore, in order for chocolate to be (potentially) beneficial, it must be at least 85% cocoa. Otherwise the health benefits are cancelled out by the increased amount of added sugar. Summary: Dark chocolate (must be 85% cocoa or more) may help lower blood pressure, although the effects are quite weak. At least we know it does not make things worse. Traditionally from China, green tea is loaded with many powerful compounds and antioxidants; a combination that is unrivalled by any other food (35). The reason tea – in particular green tea – is beneficial is because of its polyphenols. One particular type called catechins are linked to improved blood flow and pressure, related to nitric oxide (36, 37, 38). Looking at high blood pressure treatment, test tube studies show promise, but actual experimental studies on humans have either been too small, poorly executed, or finding contradictory results. Plus they all use green tea extract or supplements, rather than actually drinking brewed tea. But a large review of green tea confirmed that two cups per day (500 mL) can increase arterial diameter by up to 40% (39). Just like wider pipes will increase water flow, wider and more relaxed blood vessels increase blood flow, which should (in theory) reduce pressure. It’s also hard to argue with the benefits of green tea when you consider that regular green tea drinkers have up to a 31% lower risk of cardiovascular disease (40, 41). 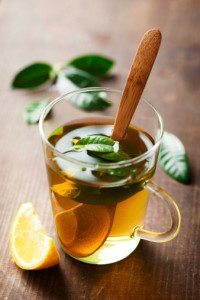 Summary: The catechins in green tea have been shown to increase the diameter of arteries by up to 40%. This results in improved blood flow and is likely to reduce blood pressure too. While very few “superfoods” live up to the hype, kale does quite well. Similar to spinach and other greens, it’s loaded with vitamins, minerals, antioxidants, and other compounds known to help prevent disease. But the reason kale stands out for cardiovascular health is because it’s rich in magnesium, potassium and vitamin C (42). 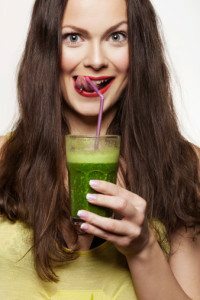 We’ve already established the benefits of magnesium (almonds and cashews) and potassium (potatoes), but the reason I give preference to kale over spinach is because it has four times more vitamin C.
Similar to the potassium-magnesium relationship, vitamin C appears to increase the blood pressure lowering effects of magnesium as well as increase potassium in the blood (43, 44). This incredibly unique nutrient profile makes it stand out from the other leafy greens when it comes to high blood pressure. Did you know garlic was not traditionally used for cooking? All the major civilizations throughout history actually used it for medicinal purposes, and now there’s science to back it up (45). The active ingredient in garlic is a sulphur compound called allicin, which is formed when a garlic clove is crushed, chopped or chewed. Several studies on hypertensive patients have shown that garlic supplementation significantly improves blood pressure. One study even found its effects comparable to that of prescription medication after 24 weeks (46, 47, 48, 49). 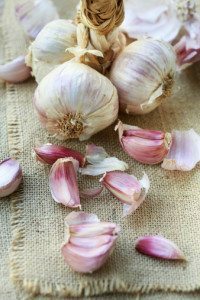 Benefits were seen with supplementation of 600-1,200 mg per day, equal to eating at least two garlic cloves daily. Summary: Garlic supplementation equal to two cloves per day can help lower blood pressure long-term. 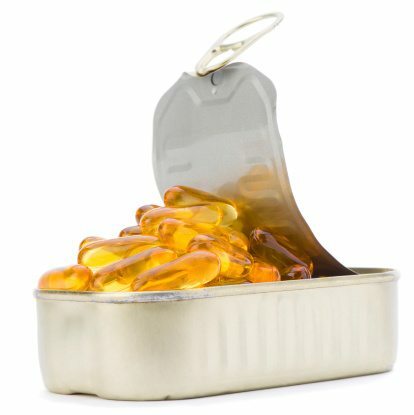 Fish oil refers to the natural fatty acids found in certain fish species such as salmon, tuna and mackerel. These fatty acids – such as omega-3 fats – are linked to numerous health benefits… not all of which are true. But fish oil does appear to benefit human cardiovascular health, especially those who have already developed a problem. Many human trials and reviews have found fish oil supplementation to be an effective treatment for high blood pressure, however the mechanism of effect remains unclear (50). Many experts believe it’s related to our Omega-6: Omega-3 ratio; the more omega-3 fats in your diet compared to omega-6 fats, the better for your cardiovascular health. The ideal ratio is said to be less than 2:1, however today’s average diet has a ratio of around 16:1. 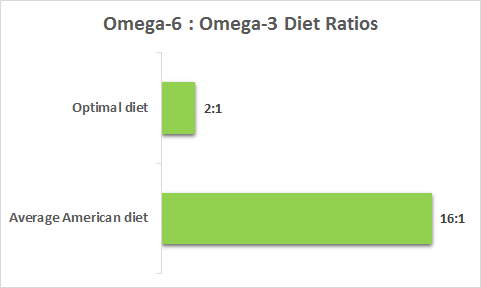 Put another way, we only consume 1 gram of omega-3 fats for every 16 grams of omega-6 fats (51, 52). Increasing your omega-3 fat intake is one of the best ways to correct this imbalance. If accessing fatty fish is not a barrier for you, then it’s advised to have 2-3 servings per week. Alternatively, fish oil supplements make an effective and often more affordable option. Summary: There is strong evidence that fish oil supplementation improves blood pressure in those with elevated blood pressure. Eating whole fish is best, but supplements are a great alternative. 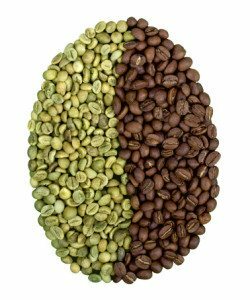 Coffee beans are naturally green in colour, but roasting turns them brown. So in essence, green coffee is just another name for unroasted coffee. While roasted coffee beans have a similar chemical composition to green coffee beans, the roasting process destroys much of its Chlorogenic acid (53). This is the active ingredient that gives green coffee beans additional health properties. Now green coffee bean extract may not be the “weight loss miracle” , but it does appear to benefit blood flow in one way or another; at least in the short-term (54). One 12-week study using 480 mg of green coffee extract (equal to 140 mg of chlorogenic acid) found it reduced heart rate and blood pressure by about 8%. These benefits were maintained for 12 weeks of supplementation, but only in those with high blood pressure to start with. What’s more, benefits were lost once supplementation stopped (55). For the majority of us caffeine has no influence on blood pressure, so drinking more green coffee should have much of the same benefits as supplementing, theoretically. You could try swapping your regular coffee for green coffee, but I wouldn’t count on it making a big difference. Stevia is one of the few sweetener alternatives that most experts agree is the safest and most “natural” option. Its two active ingredients are called Stevioside and Rebaudioside A, which is what most studies focus on. 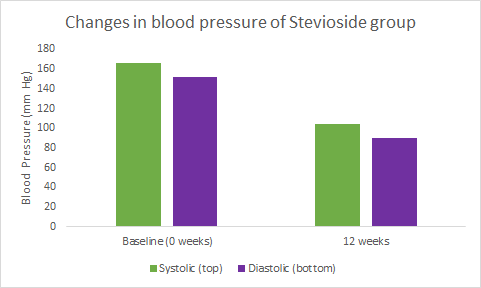 A one year trial on participants with high blood pressure found those given 750 mg stevioside per day decreased their blood pressure by 8.1% (systolic) and 13.8% (diastolic) after 3 months. They were able to maintain this reduction for the next nine months (56). Another study using high doses of stevioside (1,500 mg per day) found benefits after 2 years of use, while several other studies on healthy individuals failed to find any health benefits (54, 55, 57). 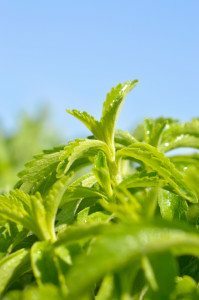 If you are looking to replace sugar, or already using another type of sweetener, stevia appears the best choice for those with blood pressure problems. It’s not guaranteed to help, but at least will not make it worse. Summary: Long-term use of stevia is linked to reduced blood pressure in those with existing high blood pressure. It is not likely to be beneficial in small doses, but certainly not harmful. Vitamin K2 (also known as menaquinone) has a close relationship with vascular health. It works to keep calcium in your bones while removing it from blood vessels where it can cause arterial stiffness and calcification (60). While no studies have measured the direct effect of vitamin K2 on blood pressure yet, a study of 244 post-menopausal women found that vitamin K2 supplementation for three years significantly reduced stiffening of the artery walls. This makes sense given its relationship with vascular health (61, 62, 63). Animal foods (like meat, full-fat dairy, egg yolks) and fermented foods (like sauerkraut, natto and miso) are by far the best food sources of vitamin K2. 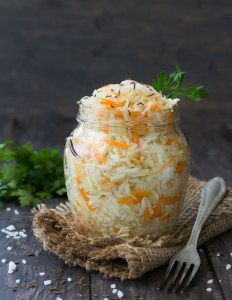 I prefer to recommend fermented foods as they also supply your gut with healthy bacteria known as probiotics. New research suggests our gut bacteria has a direct influence on blood pressure via kidney regulation. If you are particularly vulnerable to arterial calcification – such as diabetics or those with a family history of high cholesterol and blood pressure – then it is recommended you include more fermented foods in your diet, or consider a vitamin K2 (MK-7) supplement. Summary: Vitamin K2 appears to inhibit the progression of arterial stiffness, which protects cardiovascular health. Animal foods and fermented foods are the best source of vitamin K2. 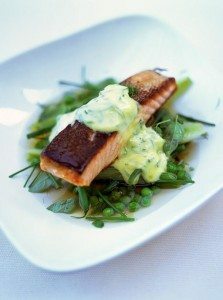 The benefits of fatty fish are not just limited to Omega-3 fats. They are also one of the best food sources of Coenzyme Q10 (CoQ10). Also known as ubiquinone, CoQ10 is a molecule that acts as an antioxidant in our cells involved with blood flow and pressure. The current weight of evidence indicates that CoQ10 supplementation in those with high blood pressure may lower readings by up to 11 points systolic and 7 points diastolic (64, 65). Note that we are still lacking larger more well-designed studies, but a diet lacking in CoQ10 could be very problematic for individuals with high blood pressure. Additionally, fish is also a very strong source of potassium. 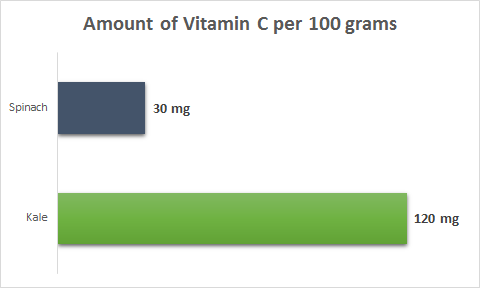 In fact, per 100 grams it has more potassium than potato (but is much more expensive and calorie-dense of course). Summary: Fatty fish are one of the best food sources of CoQ10, a molecule that helps mediate blood flow and pressure. They are also rich in potassium and Omega-3 fats, which is why they are so heart healthy. Also known as blue-green algae, spirulina is an organism that grows in both fresh and salt water. It became popular when NASA proposed it could be grown in space and used by astronauts to supplement their diet. It is thought to influence blood pressure and cardiovascular health by an increased production of the signalling molecule nitric oxide (66). In healthy individuals, a daily dose of 4.5 grams for six weeks was shown to lower blood pressure. Given this finding, it’s likely to be even more effective in those with high blood pressure, although more clinical trials are necessary (67). 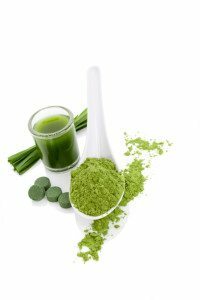 Summary: A high dose of spirulina has been shown to lower blood pressure in health individuals, which suggests it may be even more useful for those with existing high blood pressure. Forget coconut oil, olive oil is probably the healthiest oil in the world. It’s a staple of Mediterranean-style diets, and is rich in heart-healthy monounsaturated fats (MUFAs) and phenolic antioxidants. ‘Extra-Virgin’ olive oil has the highest levels of beneficial components because it is the least processed form of olive oil. 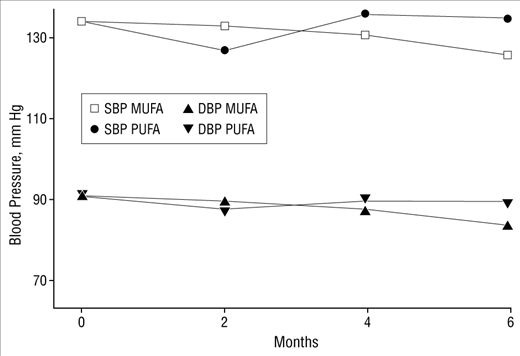 In a six-month study of 23 subjects with high blood pressure, the extra virgin olive oil group (MUFA) reduced reliance on blood pressure medications by 44% more than the sunflower oil group (PUFA). 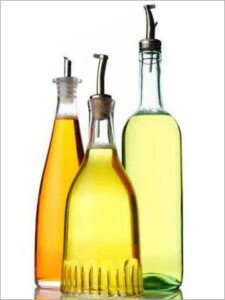 Regular olive oil intake even cut the need for blood pressure medications in 8 of 11 subjects (68). It comes as no surprise then that a major study found regular consumption reduced heart attacks, strokes and death by a whopping 30% (69). Add extra-virgin olive oil to salads, and safely cook with it on almost all occasions… it’s the best choice. If you’re struggling to manage high blood pressure – with or without pharmaceutical drugs – consuming more of the above foods could really make a difference to your health. Just remember that many other lifestyle changes help to lower blood pressure too, including sodium restriction, losing weight, physical activity, adequate sleep, sun exposure, meditation and other stress management practices. But in the end, what goes into your mouth is certainly the most influential factor at play. Becoming better educated in this area of nutrition is fundamental, particularly if you have family history of high blood pressure or heart disease.